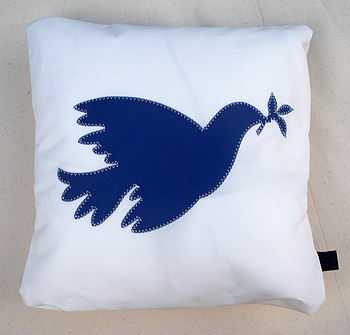 A Dove with an olive branch decorates our new white sailcloth cushions. They are available in different colours on the square and rectangular cushions. The Dove is sewn on with traditional sailmakers zigzag stitch. 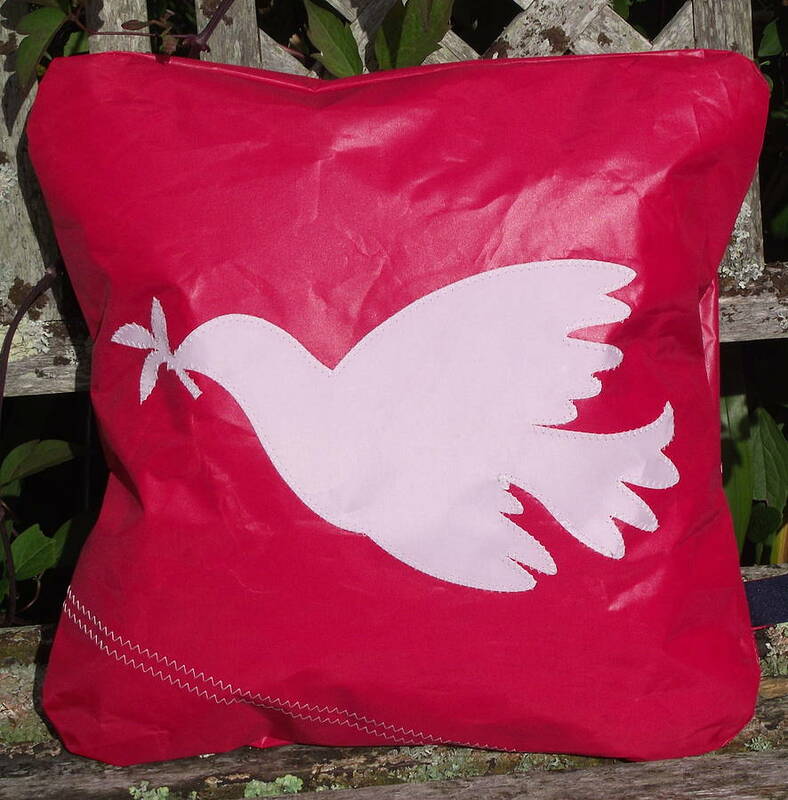 This symbolic design, conveying Peace is particularly appropriate at Christmas, and also throughout the year. They are perfect for a conservatory, living room, study and seaside living rooms. It would make a lovely gift for someone who lives in the country or beside the coast. 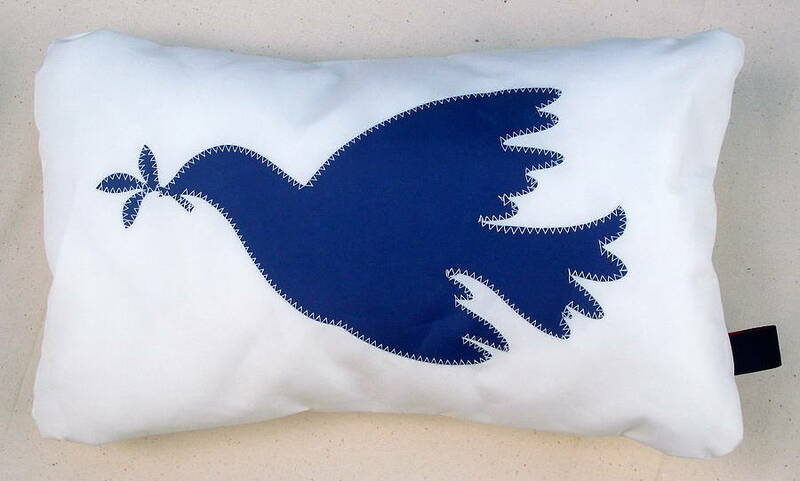 We offer you a choice of different colourways for both the Dove and Cushion. The cushion pad is included and can be removed through an envelope style opening on the back of the cushion. A double tag is sewn into the seam on the right hand side of the cushion. Hand made from from 100% sailcloth. The cushion pad is 100% polyester. Please follow the washing instructions attached. Care instructions: Wash gently by hand at 30 degrees using eco-friendly washing powder. Rinse. Dry naturally, away from direct sunlight. Do not be tempted to add bleach, tumble dry or dry clean. This product is dispatched to you by Paul Newell Sails.